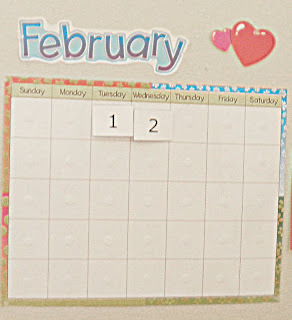 This week I'm going to cover Calendar and Circle Time. Our first part of Circle Time starts off with our Good Morning Song. Good Morning (Child's first and Last name) how are you? Good morning( child's name) how are you? Then we move on to our Calendar. 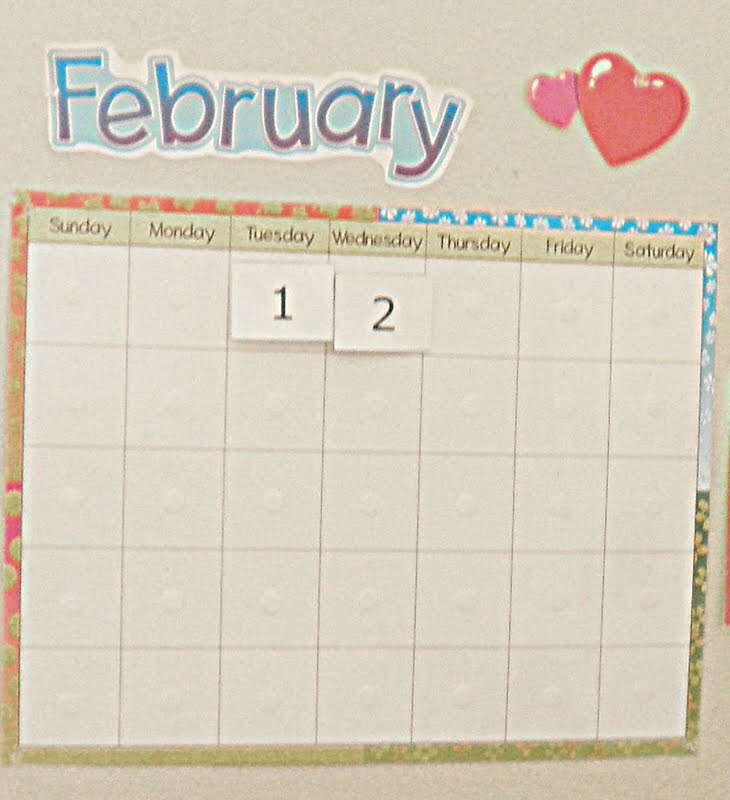 We take turns weekly on who does the date on the Calendar. Then once the number is up we count starting at 1. 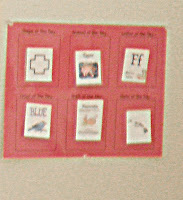 We start our Days of the Week topic with saying what day it is. We normally get a little loud to make it fun and I find they remember it and repeat it during the day. We start this part of Circle time with saying the Month we are in. Then we find it on our Calendar. Follow it with this song below. This is another part of our Circle time where we have a job. 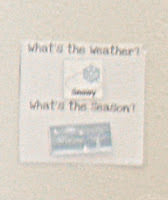 Whoever is the person to do the weather goes to the classroom window and takes a peek outside to decide what he thinks the weather is. Then he comes back and sits down and shares with us which picture is our weather. And then he places it on the chart shown below. 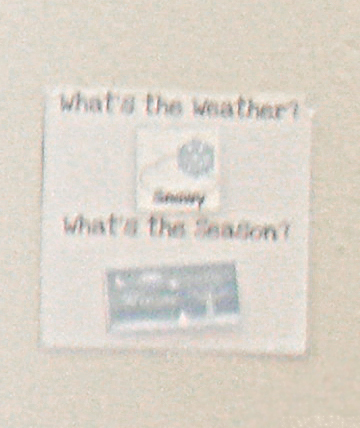 Since our season doesn't change everyday we just repeat the season we are in and some of the characteristics of that season. Each day we change out our shape, animal, letter, color, trait and state of the day. As you can see below we place them in their spots on the chart. We take turns drawing from these cups shown below which I've found to be very easy for storing the pieces. I normally have a Letter for each Week that is part of our theme. So I try to pull random objects that go with that Letter. The picture below our Letter was P. I fill our tray and we explore and name the objects. Each week we have a Bible Verse that goes with out Letter of the Week. We say our Bible Verse daily. At the end of Circle Time we read a story that goes with our theme. Whether it go with our letter, color or our Unit Study. I make sure it fits in with a part of our theme for the week. We also discuss the book after we read it just so I know they were paying attention. We always try to have fun. Some days I throw the musical instruments in the mix, or we stand up and jump when we answer a question. I have found movement is key in getting them ready for learning and it also gets the wiggles out of them! For the Printable resources I used in our Circle Time you can find them at 1+1+1=1. I also bought our Calendar at Mardels. 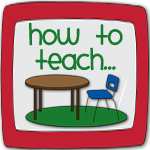 I'll be back next week on Tuesday with another part of the How to Teach Series that will focus on Fine and Gross Motor Skills. We'll be starting calendar time at home in September, so I'm trying to gather my ideas. Thanks for this post! By the way, what is the tune of your Good Morning song? love this post- thanks so much. I am so happy I found your blog through top mommy blogs. I am always looking for new ideas and criteria for my munchkins at home learning.